"The kitchen is certainly a focal room which people are now utilising for more than one purpose. In doing so, homeowners are looking for a kitchen that is stylish, modern and highly functional. " Housing agents Sellhousefast consulted 34 different estate agents, property professionals and designers from across the UK to find out how homeowners can maximise on the value of their property when carrying out kitchen improvements/renovations. Spacious and modern storage units (72%) were cited as the feature which adds the most value to a kitchen, closely followed by fitted energy-efficient appliances (66%) and then, durable and stylish worktops (60%). 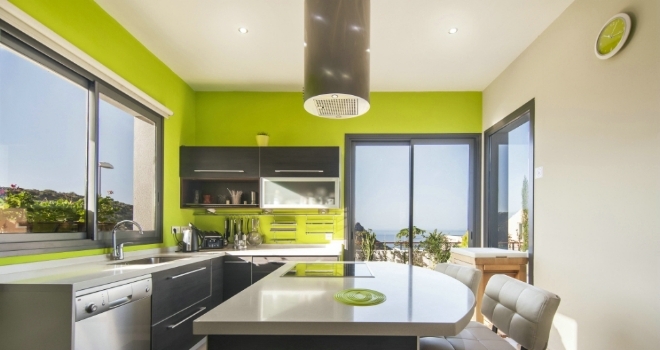 The lowest ranking feature to add value to a kitchen is the use of light/soft colour paint for walls and ceiling (35%). The majority of experts did agree that homeowners should aim for a combination of these kitchen features, rather than just striving to have a specific one, for it to really boost a property’s value.